Maserati and Alfa Romeo are considering building a large SUV based on the Jeep Grand Cherokee platform to rival the best-selling Porsche Cayenne. Fiat CEO Sergio Marchionne noted that the Grand Cherokee "architecture has legs. It's important for us to tap all of the hard work that has gone on inside Chrysler on the new Grand Cherokee. 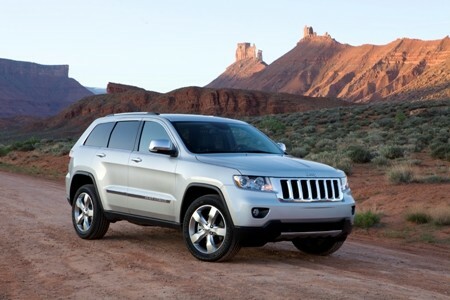 Fiat and Chrysler, which Jeep is part of, entered a partnership to share technology back in January this year. "It has a level of solidity and resilience that we have underestimated." He went on to say that the current Grand Cherokee platform has the ability to handle more powerful powertrains than the ones currently used in the Jeep. He hinted at the possibility of using Ferrari and Maserati's 4.2-litre and 4.7-litre V8. Apparently either model could be brought to market in as little as 12 months according to the outspoken company boss, although there is no Maserati SUV in development at the moment.